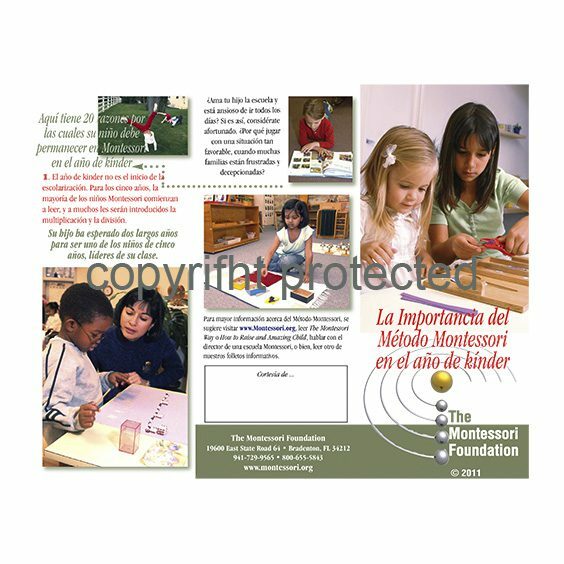 View cart “Pamphlet – La Importancia del Método Montessorien el año de kínder” has been added to your cart. 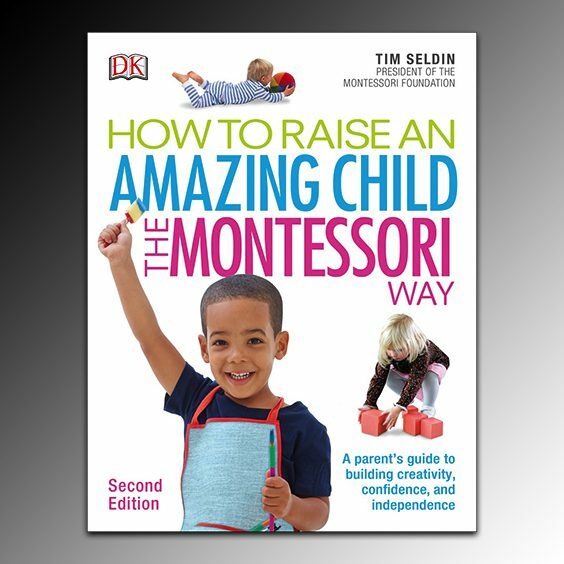 Need something that quickly helps make the compelling argument to parents as to why the last year of the Primary cycle is so critical to a child’s development? Then this parent pamphlet is what you are looking for. Each bundle comes with 50 pamphlets of the title with a blank box on the back for you to personalize with your school’s contact information. (We do not do the printing– your school does this). 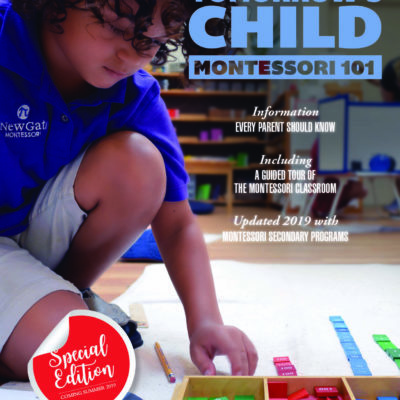 Just look at the PDF version to read the content and see if this is the title for you to have on hand at your school. Great for community events, Chamber of Commerce display or even in your prospective parent and open house packets, these affordable pamphlets can answer so many of the basic questions people often ask. Keep some in your purse or briefcase or car to always have on hand. There are now 10 titles (this one in Spanish as well) in the series. One of our top sellers of all times. 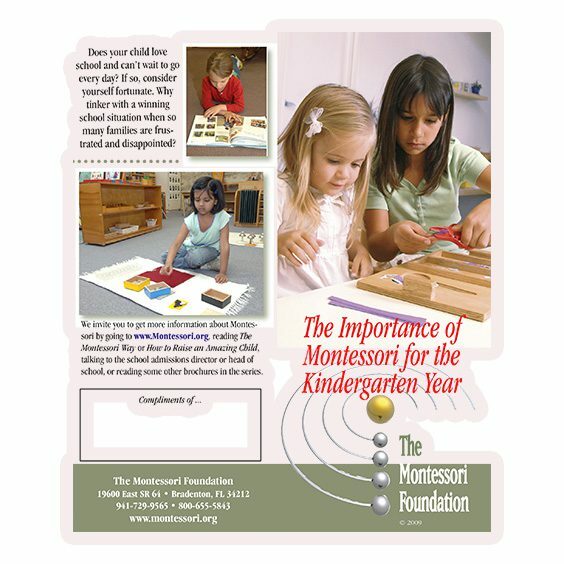 Are you an active member of the International Montessori Council? If so, you are entitled to a discount on this product. The price is $12.50 per bundle. We ship using United States Postal Service Flat Rate to make shipping easy. 3 bundles fit in a flat rate envelope which makes ordering 3 ship for the same price as 1 so why not order extras? Want a discount? 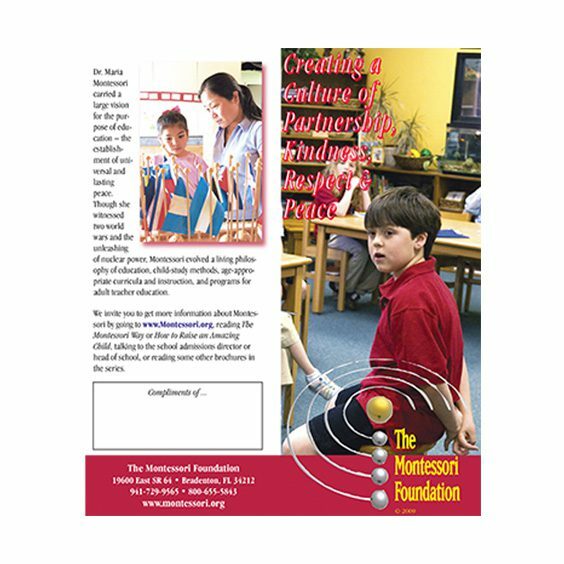 Become a member by purchasing IMC Individual Membership, IMC - Full School Membership, Montessori Foundation Tie-a Universal Symbol of Montessori or IMC School - Associate School Membership, or log in if you are a member. 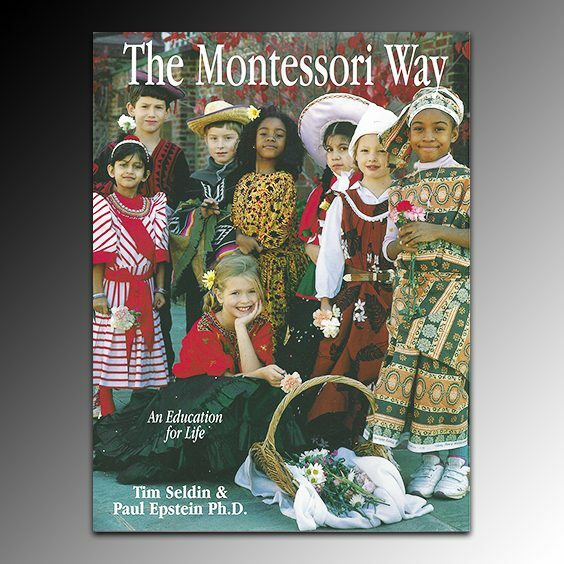 Need something that quickly helps make the compelling argument to parents as to why the last year of the Primary cycle is so critical to a child’s development? Than this parent pamphlet is what you are looking for. 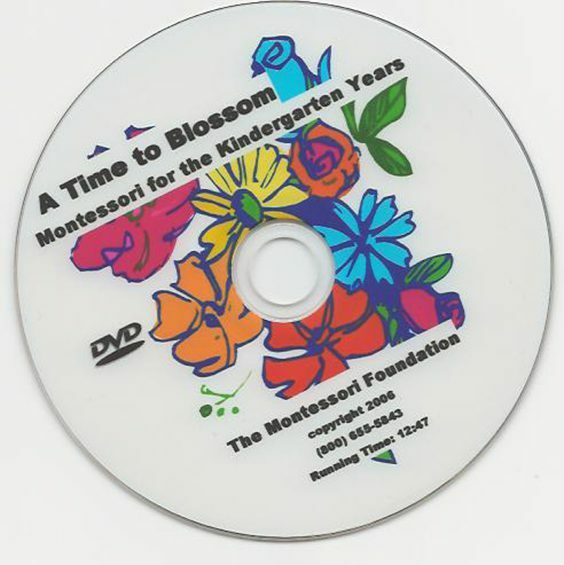 When you use this pamphlet in conjunction to showing the DVD, A Time to Blossom (also in the store) at open houses your parents will make the connection on why it’s so critical to their child to allow them to finish the cycle with this year. After all, this is the year they are the classroom elders! There are now 10 titles (this one in Spanish as well) in the series. This is one of our top sellers so have a lot on hand! 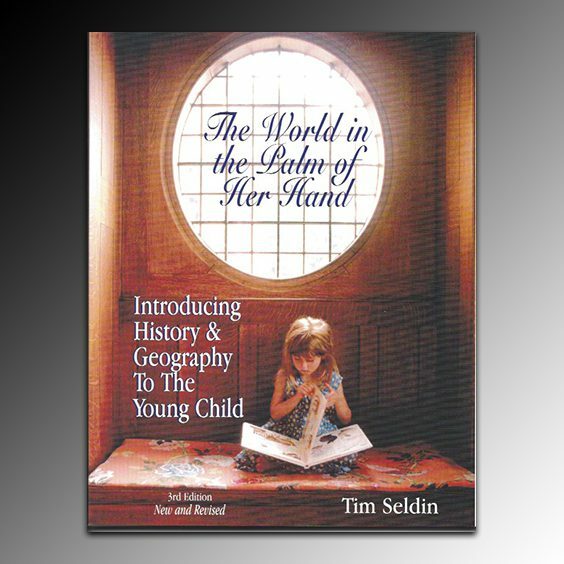 The World in the Palm of Her Hand, Introducing History & Geography To The Young Child, 2nd Ed.